What’s HOT for the New Year? New Model Homes in Cobb County! 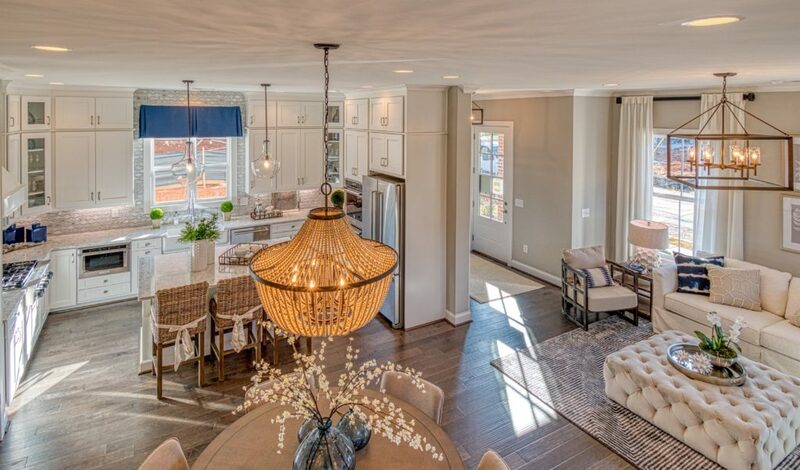 New model homes are what’s hot right now! 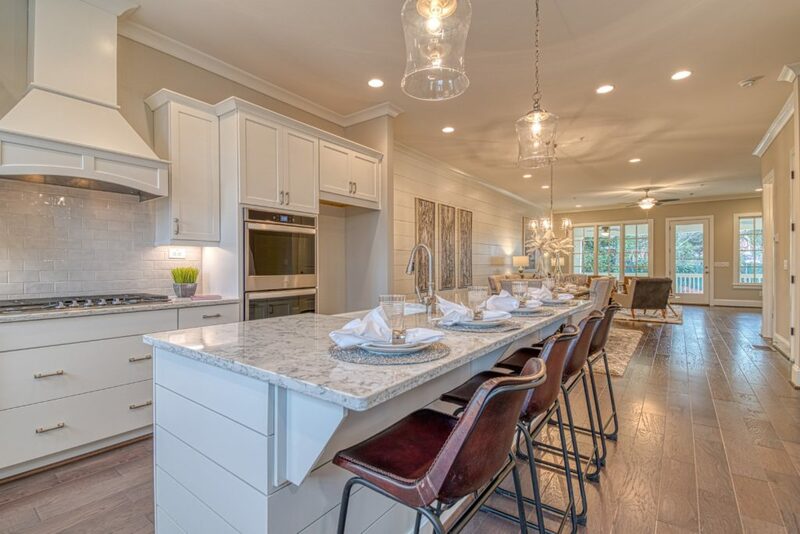 Traton Homes recently opened new decorated models at three Cobb County communities — The Registry at Marietta Square, The Grove at Adams Pond and Woodland Parc. 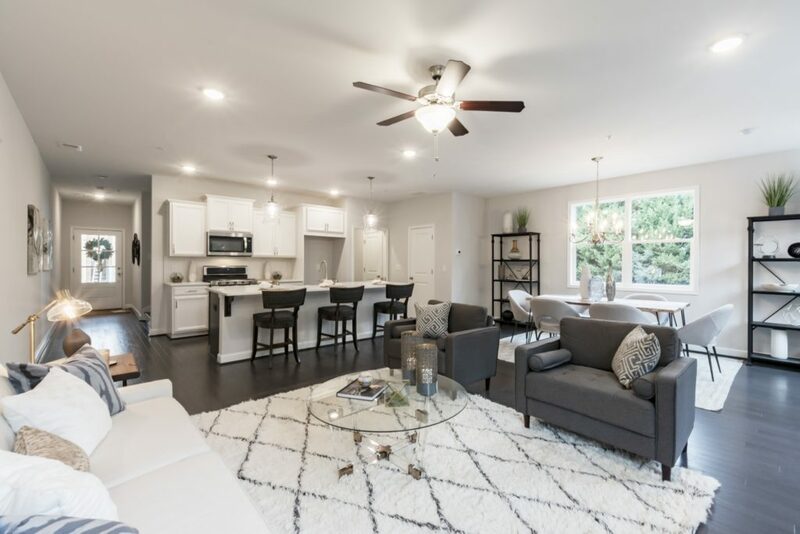 From the smallest interior details to everyday essentials, these models do a great job of showcasing how Traton offers home buyers “Altogether More.” Come in and see for yourself! The Registry at Marietta Square is an enclave of 12 total homes that feature timeless architecture to honor the heritage of the area. Walkable to downtown Marietta, the neighborhood features a fenced dog park and pool memberships are available at nearby North Square. 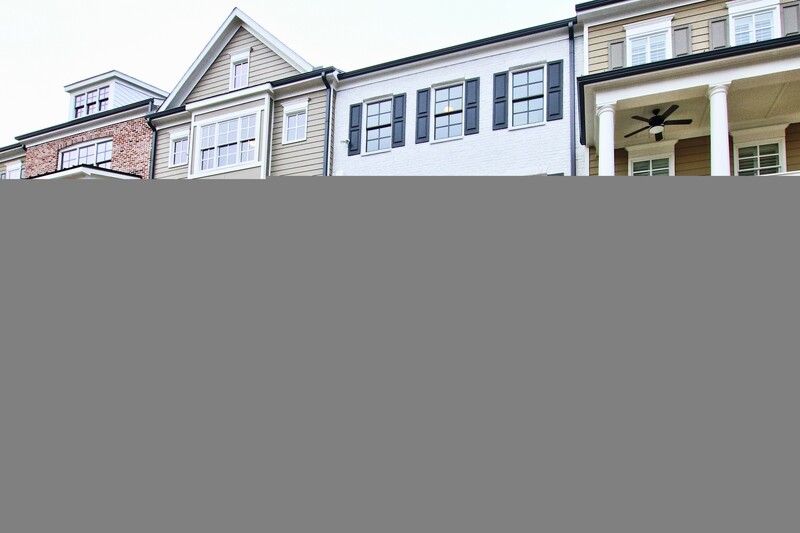 Priced from the high $400,000s, The Registry at Marietta Square offers three-story townhomes with finished terrace levels and two-car rear-load garages with elevator options available. The first building of six townhomes is complete now and ready to welcome homeowners! Two of these units are sold and building two is under construction. The decorated model features the Glover home plan. The home’s brick exterior and rich gray shutters provide a welcome to guests as they arrive at the front porch that opens to a foyer on the terrace level. This level offers a guest bedroom with private bath, as well as homeowner access to the garage. Just up the stairs awaits the spacious family room with a fireplace and covered deck, perfect for entertaining, as well as the large dining area and kitchen. The kitchen is designed for cooking with a huge island, farmhouse sink, quartz countertops, gas cooktop, double oven and stainless-steel appliances. The upper level of the home includes the owner’s suite with walk in closet, and a luxurious bathroom with tile throughout, shower and freestanding tub. An upstairs laundry room means you won’t have to walk up and down stairs between loads although an elevator option is available. The upper level also includes a convenient coffee bar and an additional bedroom with a private bathroom. The Grove at Adams Pond is Traton’s new Smyrna community featuring 55 detached homes starting from the mid-$400,000s. For home buyers who need more space, these two-story homes have an option for a third-floor. This charming community has amazing amenities that connect home buyers with nature and their neighbors – a community lake, firepit and pocket park. Another great benefit, homeowners at The Grove at Adams Pond can walk to Smyrna Market Village! The stunning, decorated Taylor model home at The Grove at Adams Pond features a beautiful Charleston-inspired elevation with crisp white paint and dark grey shutters. James Hardie fiber cement siding ensures that this home will be low maintenance for years. The Taylor home plan’s covered porch opens to the foyer and a large, open family room with a shiplap feature wall, dining area and kitchen on the main level. The kitchen brings the crisp white coastal feel into the home with a grey tile backsplash in a pattern reminiscent of waves, quartz countertops, stainless-steel appliances and touches of blue throughout. Hardwood floors provide a warm feeling throughout the main level. A mudroom provides places to hang coats and hats, as well as access to the garage and rear porch. The second floor offers a large owner’s suite with a spa-like bath featuring a spacious walk-in closet, oversized shower and freestanding tub. The second floor can be configured for three or four bedrooms depending on the buyer’s preference. The Taylor’s optional third floor can be finished with a media room and additional bedroom and bath if desired. The model home showcases a third-floor secret room and a huge media room for relaxing and entertaining. Woodland Parc proves that you can have it all! Invite a friend over and walk to The Battery and SunTrust Park for an afternoon lunch, a night out or a hotdog and the Braves. These two-story townhomes with architecturally planned brick exteriors include two-car front-entry garages. Details such as awnings and mini Juliet balconies add interest to the exteriors. Priced from the mid-$300,000s, Woodland Parc offers quick access to Interstates 75 and 285, Cumberland Mall, Cobb Galleria and The Cobb Energy Performing Arts Centre. A small enclave of only 12 townhomes, Woodland Parc’s first building of five homes is ready for homeowners to move in, and two homes have already sold. The second building of seven homes will be ready this spring. Woodland Parc has a dog park, so man’s best friend is welcome! The Florance is the decorated model at Woodland Parc. Lots of well-positioned windows let natural light into this home providing a bright, happy feel. The main level’s covered entry opens to a foyer that leads to a generously sized island kitchen, dining room and family room. The kitchen is well-appointed with Whirlpool stainless steel appliances, quartz countertops, a stainless steel farmhouse sink and white kitchen cabinetry. The cozy fireplace in the family room is perfect for a fire while watching TV or playing a board game. A patio off the family room helps connect the townhome with nature. The upper level includes the owner’s suite with a sitting area, walk-in closet, and bathroom with dual sinks, a tub and separate shower. Two additional bedrooms are located on the upper level, both offering walk-in closets and sharing a hall bath. Decorated models at all of these Cobb County communities are open daily from 10 a.m. until 6 p.m., except Wednesdays and Sundays from 1 p.m. until 6 p.m. For more information on Traton Homes, visit www.TratonHomes.com or call 770-427-9064.